Halve and stone the avocados (saving a stone) and use a spoon to scoop out the flesh into the bowl. 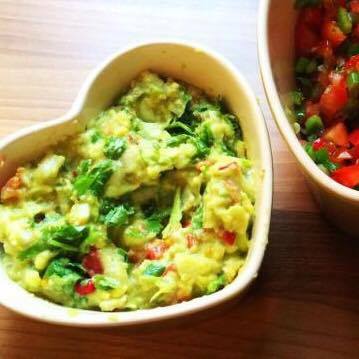 Roughly mash the avocado to the consistency of your choice (I like it nice and chunky). Tip all the other ingredients into the bowl, then season with salt and pepper. Use a fork to roughly mash everything together. 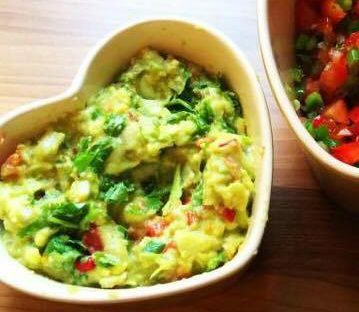 If not serving straight away, sit a stone in the guacamole (this helps to stop it going brown), cover with cling film and chill until needed.